Goldman Sachs-backed Bitcoin services company Circle Internet Financial Ltd. is planning to open an office in London, UK, reports Business Insider Australia. Circle founder and CEO Jeremy Allaire and co-founder Sean Neville, along with other executives, are presently in London to hire a manager for their UK operation, and to find a suitable location for their office, revealed the Australian edition of Business Insider. The Ireland-incorporated, but mainly Boston-based company is also reportedly in talks with the Financial Conduct Authority about acquiring an e-money license to be able to run its digital wallet service in the UK and include the British pound sterling, as well as euros, to the list of currencies it supports. 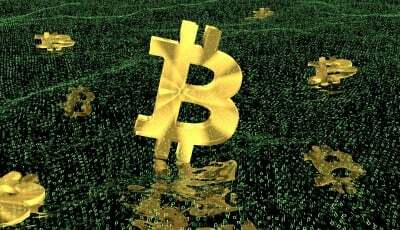 The Bitcoin firm also plans to include many other fiat currencies soon, and once added, use the London office as its base to expand in Europe. Since its launch in 2013, Circle has raised $76 million, the most recent being $50 million in a Goldman Sachs-led funding round in April. On September 22, Circle became the first Bitcoin company to be licensed by the New York Department of Financial Services (NYDFS) to lawfully operate in the state of New York. With its NYDFS-licensed status, the company became able to legally offer, in the New York State, its mobile payment service that sends, receives and holds Bitcoin as well as US dollars for the users.